Disney Measuring Spoon Set - Best of Mickey Mouse -- 4-Pc. 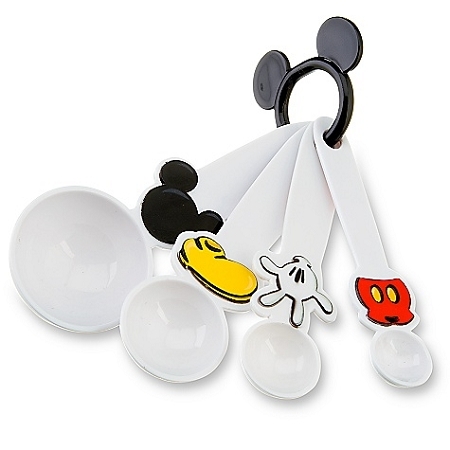 Give all your recipes a spoonful of magic with the Best of Mickey Mouse Measuring Spoon Set. 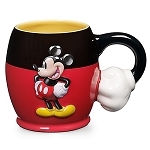 Mickey Ears, Shoe, Glove, and Shorts measure out 1 tablespoon, 1 teaspoon, 1/2 teaspoon and 1/4 teaspoon. Spoons hang from a Mickey ring. •Set includes 1 tbsp., 1 tsp., 1/2 tsp., and 1/4 tsp.